Great design always starts with a great question. Thomas Heatherwick is a UK designer who has worked on everything from the London Olympic cauldron, to the new London Routemaster bus, to a pedestrian bridge across the Thames, to an entire district in Shanghai. The trick, he believes, is finding the right question. To manage the design process, clients create artificial boundaries based on jurisdiction, purpose or budget, and tell the designers to work within those confines. Good designers try their best to ignore those boundaries, but it can be a challenge. “I am interested in ideas, at whatever scale. Every project has every scale within it,” says Heatherwick. So when it comes to planning the future of Long Street, the starting point cannot be “how do we pedestrianize this space?” but rather “what can this space do for Cape Town?” And even that is not likely to be the key question that will spark great design, either. There is no homogenous community to say what they want, only different people who have conflicting hopes and fears about what change might bring. Residents, businesses, club patrons, street traders, drug dealers, taxi drivers and prostitutes will all be jostling to ensure they have a future in this place of opportunity. How will the design and management of the space ensure not that every activity is accommodated, but that the desirable ones fall naturally into place so that it is safe and welcoming and simply a great street? And how do we define that? Long Street holds stories beyond the night life it is famous for, and those stories are continually evolving. It is a place where religious communities have had a home for more than 100 years; where fashion entrepreneurs take a bold leap in opening a store; where government buildings, restaurants and, most importantly, people are stitched into a complex, unique and diverse urban fabric. We know what the place is – or do we, really? We need to ask about the relationship between the street and the people who use it, and how they feel when they are there. Because ultimately a street like this is nothing if people don’t feel attracted to it. So when we ask what it might be in future, that human element is essential. The narrative threads are woven through layer upon layer of stories that we bring to the place, and that we take back home with us, altered by the experience. While it is important to re-think the structure of the street as part of a conversation about its future, it is necessary that this forms part of a city-wide focus, on re-thinking the role of our streets and how they can be improved to create a better life for citizens across the city. We cannot focus only on Long Street, while turning a blind eye to streets leading to Philippi train station or the potholed pedestrian route towards the Mfuleni Taxi Rank or the potential to create High Streets in Langa and the Athlone CBD. So when we are imagining the future of Long Street, considering options for this future and then implementing improvements, the process must become an entry point for a conversation and focus on the broader role of the design of our streets in improving lives. Future Cape Town, as a platform for the re-imagination of our city by its citizens, believes that a significant investment in innovation is needed for engaging the public, such that the process itself becomes a legacy for involving people more generally in defining the future of Cape Town, whether in the Central City, Philippi, Mfuleni or Bellville. 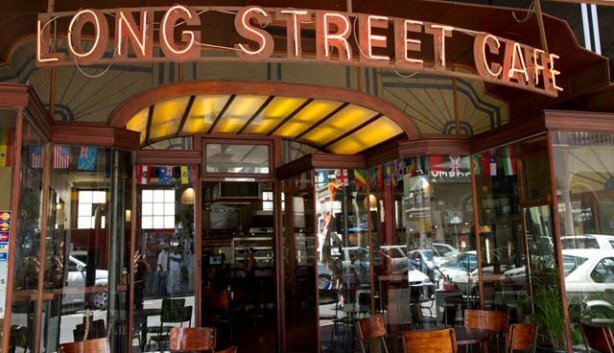 The organisation has begun encouraging input from the public and processing this into themes for Long Street that can help in formulating the design questions and answers. 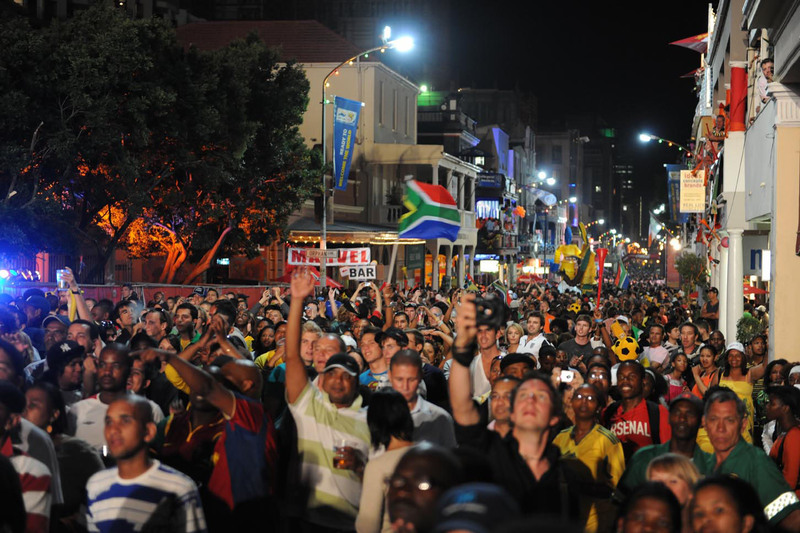 Open Streets Cape Town, an organisation promoting a culture of civic involvement through new temporary and permanent uses for streets as public assets, has also begun small-scale experiments to explore how people respond to conditions on Long Street and elsewhere across the city. Sometimes it takes the unexpected to jolt us out of fixed patterns of thinking and to create those design questions that will generate new ideas. We are designing ways to achieve that. Innovative thinking is essential for overcoming perceived irreconcilable differences, and turning them into opportunities. And that friction, the different viewpoints, can be a stimulus. Public participation can be the vehicle for expanding the range of possibilities, but not if we stick to the usual process of asking ‘stakeholders’ what they think of a proposal. The innovation must be in the process itself, not just the design. Indeed, if we are creative enough, we may just find that very little is needed by way of redesigning the street, and that new management practices and ways of supporting positive private initiatives will be the key elements of a strategy. Long Street is an opportunity, then, not only to support the City’s policies for promoting a safer environment for pedestrians, cyclists and other forms of non-motorised transport, but also to test more inclusive and productive forms of public engagement. We welcome the City’s initiative to reimagine the role of Long Street. Our respective organisations will continue to support engagement with other bodies and organisations, including the City of Cape Town, to further the debate around the ways that streets can contribute to civic life in Cape Town. long process before seeing anything on the ground. We can start right now with designing and testing ideas to create a cascade of ideas and see what happens. And lots of small-scale initiatives, whether they succeed or not, can teach us more than one or two grand designs could do. This article first appeared in the Cape Argus on 17 September 2013. Rory Williams is a member of Open Streets Cape Town, a nonprofit organisation promoting better design and use of our streets. Rashiq Fataar is founder and director of Future Cape Town, a platform for discussion, debate and awareness about the future of cities.